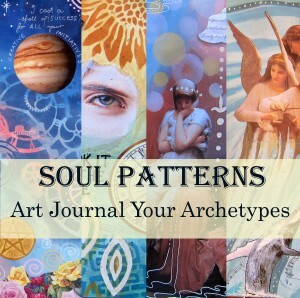 SOUL PATTERNS: Art Journaling your Archetypes A new six part course, starting March 12th and 13th 2019 in Brunswick Heads, NSW. 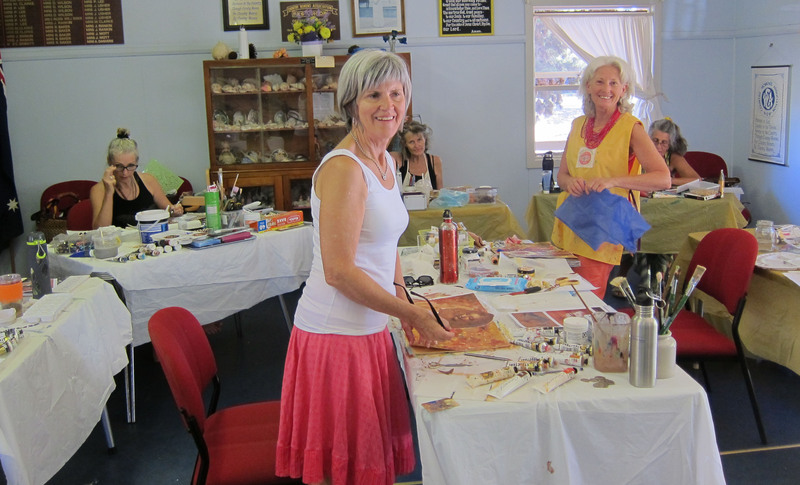 Classes will run 10am to 2pm fortnightly on Tuesdays or Wednesdays. You can choose whether you want to be in the Tuesday OR Wednesday group. Carl Jung first introduced the concept of Archetypes, which are innate tendencies or patterns of behaviour which influence our lives and the choices we make. 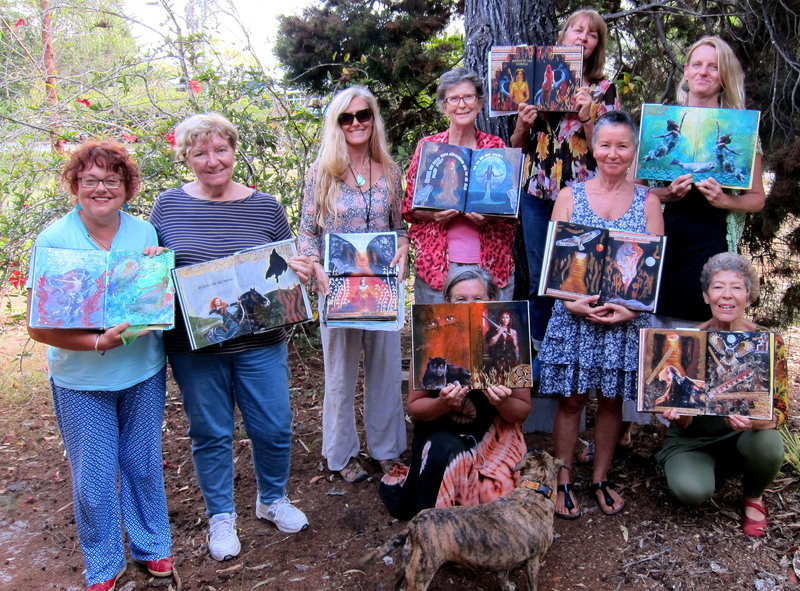 Over a series of six 4 hour sessions (10am to 2pm) we will explore many archetypes such as the healer, the artist, the queen, the orphan, the teacher , the mystic etc You will identify which archetypes have been major ones in your life and make art journal pages about them. We will work in an art journal (about A4 size) OR an altered book. You do not need to be good at drawing or painting, or have art experience. Cost: $250 , or $220 early bird ie enrol and pay $60 deposit by end January. 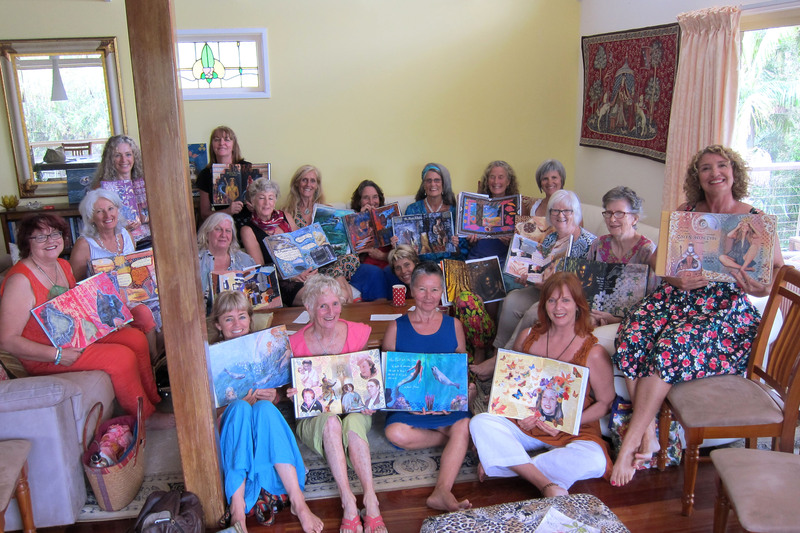 I have developed a course for women called The Heroine’s Journey, in which we reflect on our lives using Joseph Campbell’s stages of the Hero’s Journey as a starting point. The course involves looking at myths and fairy tales, some writing and art journaling. Using collage, acrylic paints, stenciling and other mixed media techniques, we will create an art journal to celebrate your heroine’s journey. You do not need any skills or experience in art or drawing, this is a course anyone can do. I taught this course for several years and also developed a Part 2 course. 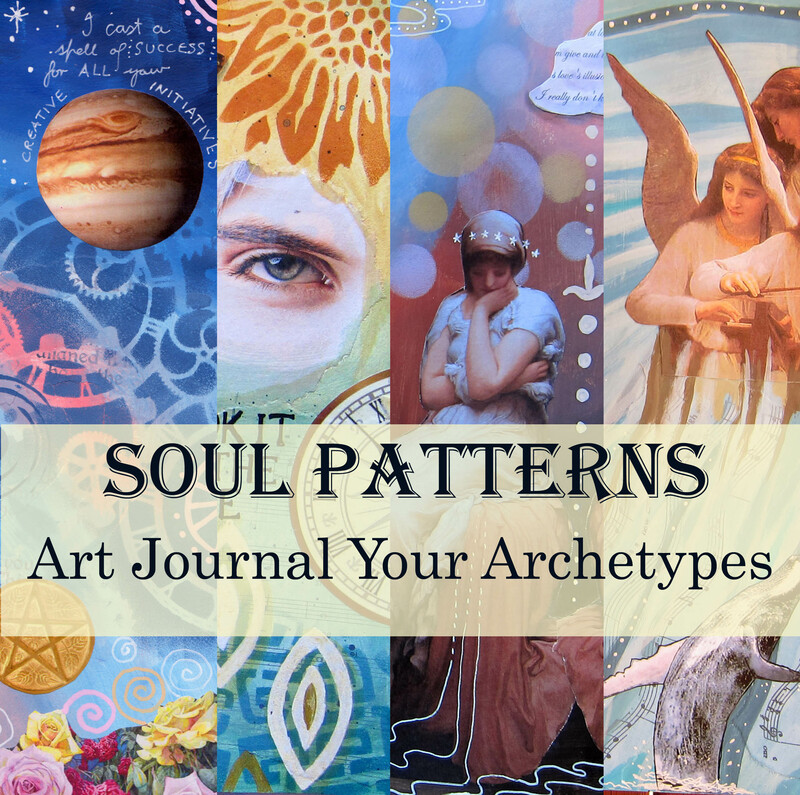 In 2019 I will be teaching my new Soul Patterns: Art Journaling your Archetypes course, but I may return to the Heroine’s Journey again one day. I am open to running weekend workshops in it. 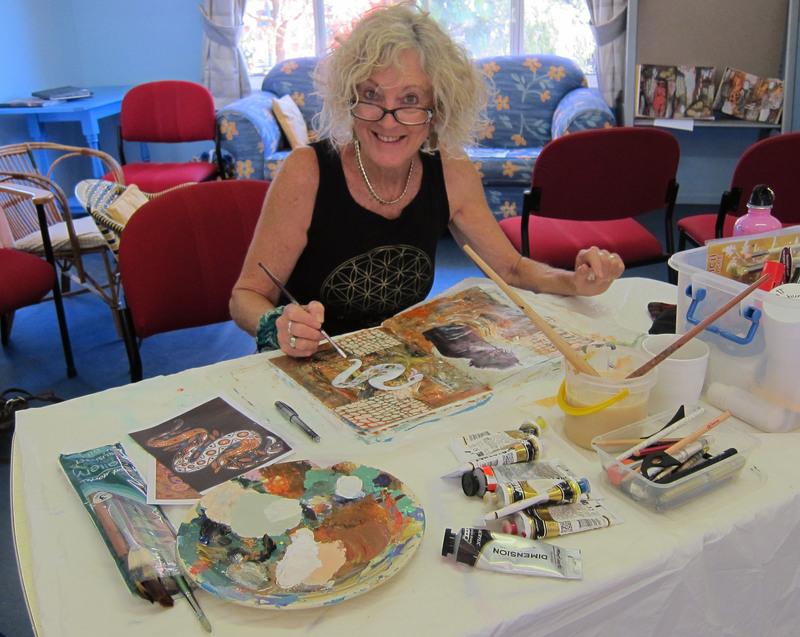 I also run monthly 4 hour “Art and Soul Journaling” classes in Brunswick Heads on a Tuesday or Wednesday and in 2019 I may run the occasional Art and Soul Journaling class on a Saturday. In these classes we start with an inspiring story or some quotes and readings on a theme, followed by some reflective writing and sharing of our thoughts and feelings on the topic. 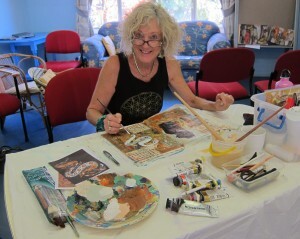 Then we move to our art journals, often trying out a new skill, technique or colour idea and usually incorporating some collage, to create a soul satisfying page. An end of year gathering of Heroine’s Journey graduates!